Recently, there have been a lot of benefit concerts for artists who have come down with disease, traumatic injuries and other expensive health or family issues. In almost every case, the artist has no medical insurance to cover their care. Yes, insurance is expensive but, so is going without it. What does this do to the family when the money runs out? What about their homes? What about their future? What about themselves? Many of you have fond memories of The Pinkham Family (Terry, Jeff, Josh, Savannah & Vanessa) at many of our festivals in years past. In case you have not heard, Jeff Pinkham has been diagnosed with Cancer and like many of us today, has no health insurance. Jeff and his family need our support. Yes, they need financial help and if you can do that, there are several ways below that you can help (buy a ticket for the benefit, donate thru pay pal or send a check). But they also need to feel our support as a community, as a music family. Evidence shows that people who have an extensive, vocal, loving, energetic support system do much better at fighting this terrible disease. 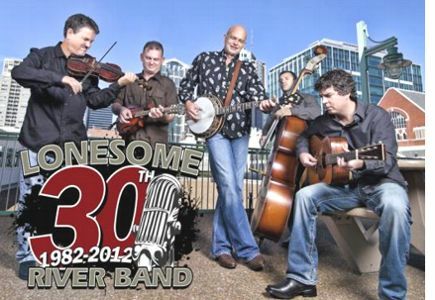 Central Florida bluegrass legends The Sunshine Bluegrass Boys are making a rare reunion with the original lineup - Mike Marshall on mandolin, Ron Rimmer on banjo, Joey May on guitar, and bassist Allen Waters - especially for this show. The Flat Iron Farm in Great Mills, Maryland will be hosting the 2012 Bluegrass for Hospice. Jay Armsworthy organizes this bluegrass music benefit event each year and brings in top bluegrass music talent for this outstanding fundraising event. The event will be held Saturday, October 27th from noon until 8 PM at the Flat Iron Farm on Flat Iron Road, Great Mills, Maryland. Owensboro, KY -- Come on down to the Bluegrass Museum! You can see and hear a rip-roaring, thrilling group called Town Mountain, who are performing a benefit concert for the museum. These fine folks are traveling all the way from the mountains of North Carolina, just to entertain you! 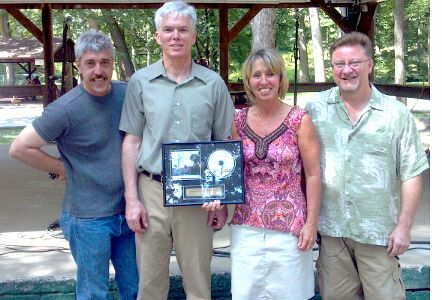 The Flat Iron Farm in Great Mills, Maryland will be hosting the 2012 Bluegrass for Hospice. Jay Armsworthy organizes this event each year and brings in top bluegrass music talent for this outstanding fundraising event. The event will be held Saturday, October 27th from noon until 8 PM at the Flat Iron Farm on Flat Iron Road, Great Mills, Maryland. Nashville, TN -- The Friends of Mark Newton Golf Outing and Music Event held on August 24th in Fredricksburg, Virginia, Newton’s childhood home, to assist the Newton Family with medical expenses following Mark’s hospitalization this Summer was a huge success. 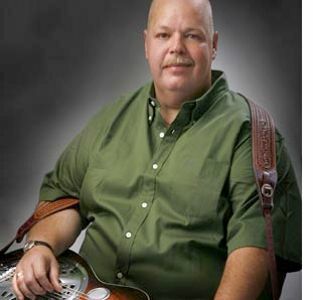 Mark Newton was hospitalized unexpectedly earlier this year at the University of Virginia in Charlottesville while preparing for the 20th Anniversary Graves Mountain Festival of Music, an event that Newton helped create with the Graves Family, in Syria, Virginia. The August 24th fundraiser had over 34 golf team participants and culminated with a special concert reunion of the Virginia Squires (Rickie and Ronnie Simpkins, Sammy Shelor, and Mark Newton) and special guests that included Grammy Award winning artist Carl Jackson, Dudley Connell of the Seldom Scene, and Ralph Stanley II among many others. 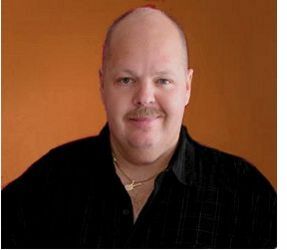 Picking FOR David Wiseman is a fundraiser to help a long-time musician as he battles Wegener's Granulomatosis. Won't you help? 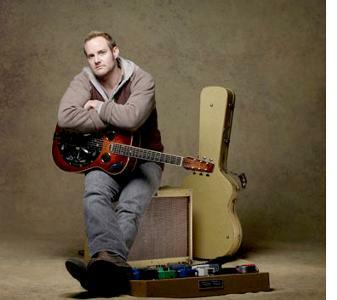 David Wiseman is a long-time bluegrass musician from the mountains of western North Carolina. He's a superb tenor and lead singer and a wonderful mandolinist and fiddler. Gowing up in Ingalls, NC, just outside Spruce Pine, he is directly related to the late Lulu Belle & Scotty Wiseman. Nashville, TN -- Nashville’s Artist to the Stars, Corey Frizzell, recently created a fine art portrait of the late Bluegrass legend, Bill Monroe, to be donated to the August 24th Friends of Mark Newton Benefit. The benefit will include a star studded golf outing, auction and live concert in Fredricksburg, Virginia. Frizzell will be on hand at the benefit for a meet and greet to sign event posters and the original Monroe portrait to the highest bidder. and prepares them on the spot. Stoney Creek Bluegrass Band will provide live music during the event. 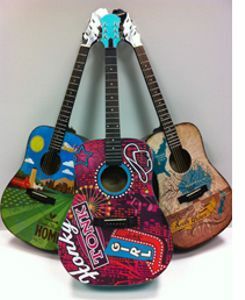 Nashville, TN -- /Opry.com/ The Fourth Annual Guitars of the Stars BenefitAuction is giving country fans the opportunity to purchase one-of-a-kind guitars inspired and autographed by everyone from the Opry's newest member to the Coal Miner's Daughter. The event is scheduled for Thursday, June 7, 5 p.m. at The CMA Music Fest Buckle Stage at 4th Ave. and Broadway in downtown Nashville. The event is open to the public, and all proceeds from the auction will benefit the Opry Trust Fund which assists members of the country music community in need. Nashville, TN - Randy Kohrs, a Grammy-winning producer and musician, is hosting a rather unconventional contest to raise money for Agape Animal Rescue. Dubbed "Wutt's The Mutt? ", the contest centers on one of Kohrs' rescued mixed-breed canines, a female named Coulter. Our favorite bluegrass uncle, Uncle Phil Leadbetter is battling to get a handle on his Hodgkins Disease -- a form of cancer. Doctors are still doing surgery and trying to find a cocktail that will bring this disease under control. The rising medical costs are putting a great burden on him and his family. To help with this, a grand benefit program featuring many of the top bluegrass artists today will take place Sunday at The Paramount in Bristol, Virginia/Tennessee. Grammy nominated, multi-IBMA award-winning bluegrass group Blue Highway has been added to the already star-studded Pickin' for Phil line-up. "This will be the bluegrass gathering of the year," says Larry Gorley, event organizer. "Some of the finest names in the genre coming together for their dear friend. It's a must-see event."